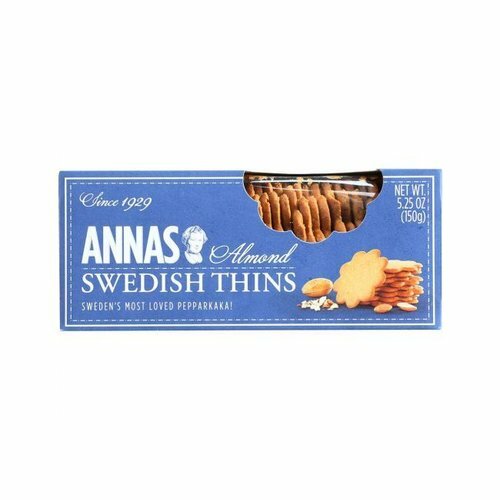 Annas almond swedish thins. Product of Sweden. Annas ginger swedish thins. Product of Sweden.